Wedding Bouquet is named for its attractive ivory-white blossom which is borne in abundance. The fruits are small and dark red, almost berry like, and persist well into December. 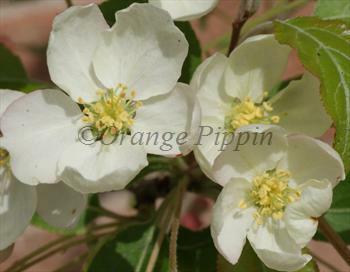 Wedding Bouquet is a good pollinator for mid and late-season flowering apples and cider apple varieties. Our two-year old trees should have blossom the spring following planting. Please fill in the details below and we will let you know when Malus Wedding Bouquet crab apple trees are back in stock. 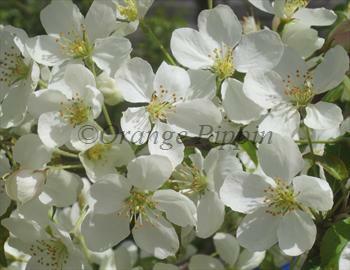 Malus Wedding Bouquet is in flowering group 4. 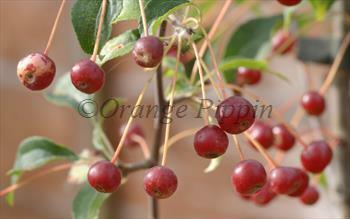 Malus Wedding Bouquet is self-fertile and does not need a pollination partner, although fruiting may be improved if there is a compatible tree of a different variety nearby.